Y’all. I’ve been absolutely floored by the reaction to this one photo I shared on Instagram recently. I was humbled and brought to tears when nearly a thousand women reached out by sharing their own familiar stories while offering me encouragement for being real and honest about the changes that come with becoming a mother. This post was shared by a few media outlets like Huffington Post Parents, Huffington Post UK, PopSugar, Daily Mail, Trending World, Metro, and Poland. It BLOWS my mind to see this message that I feel passionate about has reached so many people that identify with this reality. I’ve felt truly humbled that this has, in a small way, brought women together to have more love for the bodies that gave them motherhood. 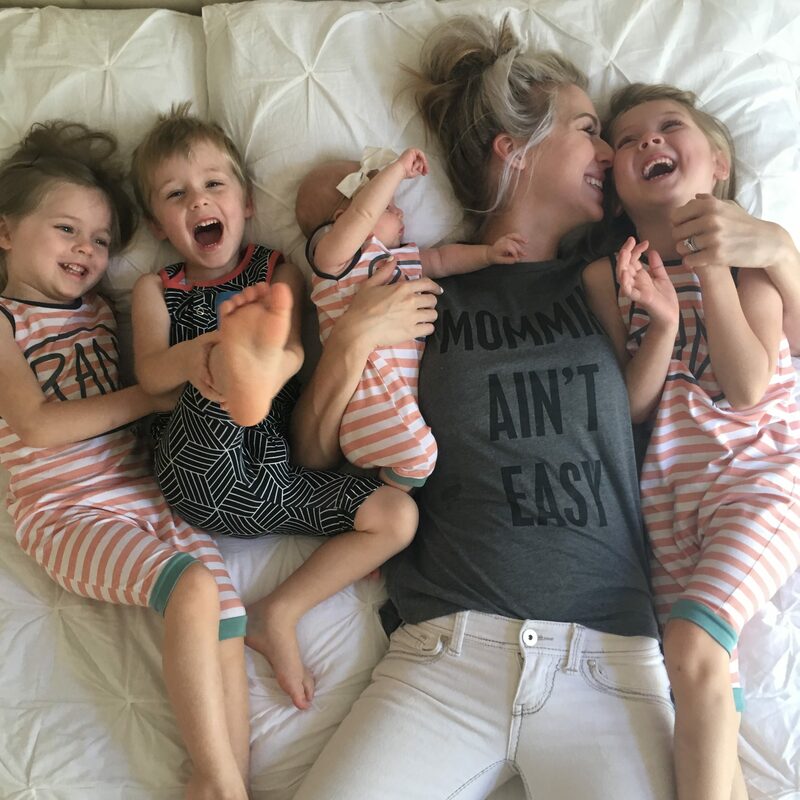 This experience lights a fire in me to continue sharing every aspect of what being a mom is for me. My first thought after looking at the photo was “wow my mouth and laugh look pretty ridiculous and awkward”. I wasn’t going to post it—ask my hubs who snapped it! But I loved this moment with my girls too much to pass it up. I wanted to remember it and I felt inspired to share my honest and very raw feelings that I understand a lot of us mothers experience. What motivated you to share this post? The majority of my relationships through Instagram are with women, especially moms. 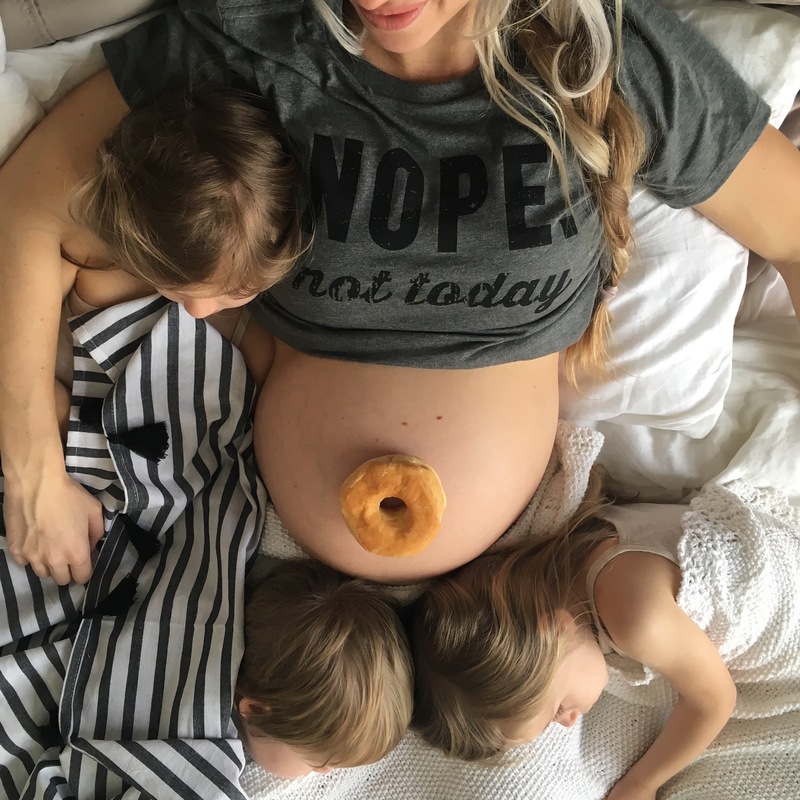 I shared so much of my journey through pregnancy, so I also wanted them to see what happened to that same belly after giving birth. We don’t see enough of that plastered on the cover of magazines. What we DO see is a lot of advertisement to repair the damage from birthing our babies. I mean, come on, encourage us to feel confident with our bodies as they are post birthing a baby. I wanted to share the beauty and blessing I now view my body as. I wanted other women to feel inspired to love the new skin that made them mothers. How did you feel about your postpartum body after your previous pregnancies? Before having babies I was a lot more critical of what there was NOTHING to be truly critical about. After my rough full-term twin pregnancy I remember being 6 months postpartum and worrying that my body would never get back to what I thought was “normal” for me. I remember stressing about what I could do to tighten up my belly and skin. Now after 3 pregnancies my body is quite a bit different, but I appreciate what it has gone through to bless me with my children. Even though I’m motivated to make my body as fit and healthy as I reasonably can, I feel very proud of my stretchy skin and changed body that will always tell my story. This body gave me motherhood. Now I feel pride, encouragement, and gratitude for my changed body. What’s your go-to when you happen to have a low day when it comes to positive body image? Ice cream. Dark chocolate chip ice cream. haha, JK! But kind of. When I’m having a day where I’m struggling with body image I try to control things that I can control. 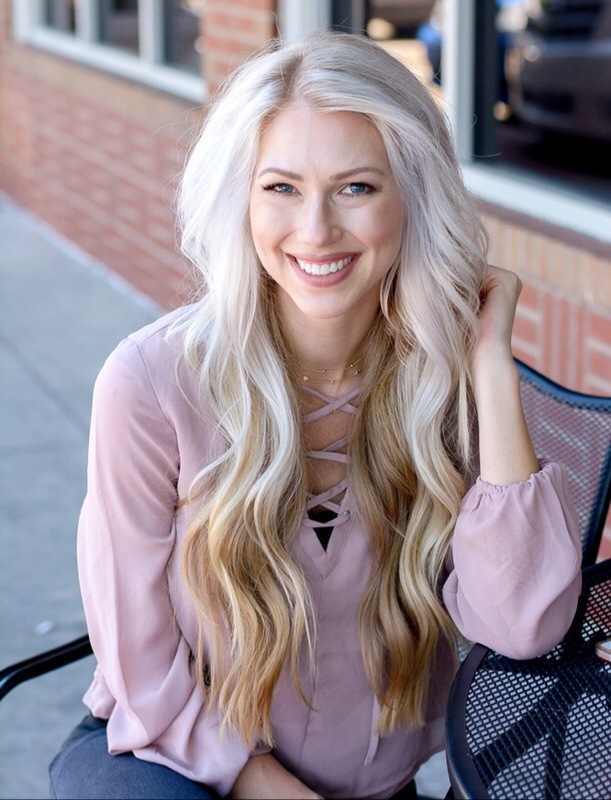 I can’t control many of the effects on my body from having a baby, but I can control choosing to exercise to make my body stronger and to fill it with endorphins, or eating healthy foods that fuel my body, or being active with my very active little ones, or being around friends to get outside of myself and give to others. 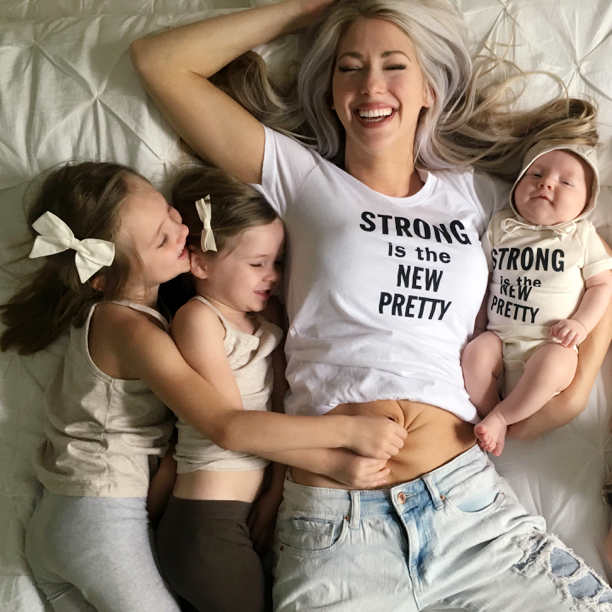 Do you have anything you’d like to say to other moms struggling with positive body image after having children? You are not alone. Everything you feel, most every other mom has felt too. We are all in this together. Your body is absolutely perfect and amazing because it created and grew your precious little one. Refuse to bully the body that made you a mom. Focus on things you can control. Be patient…your body will soon find it’s new normal. Your confidence will grow as you “accept the things you cannot change” and are selective about what thoughts you entertain about yourself. Feel grateful for the body that gave you motherhood. Hi Stephanie! Thanks so much for being so sweet! I just found out I’m prgnant!!!! Only 7 weeks but the thoughts of how my body will change do creep into my mind and sometimes even consume me, but this is a beautiful reminder that we’re not alone and every mother goes through this. To embrace the bodies that create life and just focus on what you can do after birth to “find your new normal.” Beautiful photo and post – thanks for sharing! !